Did I spend too much on this plane? So I got this Stanley 101 over the weekend while I was visiting my older brother in Ohio (an 8 hour drive from Milwaukee unfortunately…..), and we did some antiquing while we weren’t able to spend time with him (he is a music major in college). 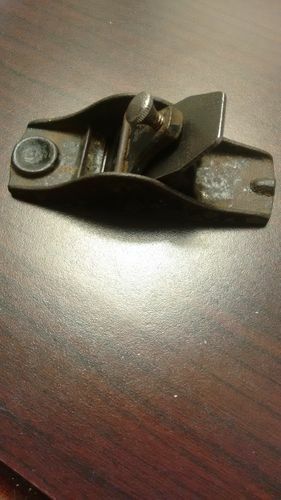 I bought this little 101 for 27 dollars thinking initially that it was a Leonard Bailey’s #51 little Victor (do your research kids….don’t do what I did). It looks to me like a 19th century No. 101 and while I do have a use for it, as both a general woodworker and an apprentice luthier, I am wondering if I overpaid for it. 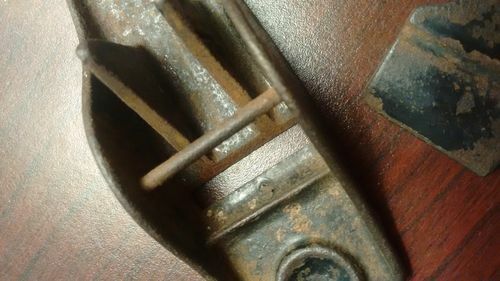 Have any of you ever seen a huge low spot casting flaw on the webbing that angles the blade before? 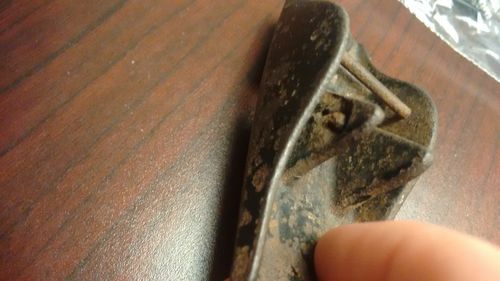 I know it isn’t corrosion, as it has japanning in the divot, meaning it left New Britain like this. As for the value, rehab it and use it. That makes it worth the price. As for the flaw, I can’t see it. Every single person who has spent any time at all collecting and restoring planes has overpaid for one (or more) at some point, so you are in good company. Sometimes you miss something in evaluating the tool or, as in this case, buy on speculation rather than knowledge. Some of those work out, other times you end up taking a hit. It’s part of the learning process and if all it cost you is $27, that’s a pretty cheap lesson. I would think a fair price for a 101 in that condition would be $10-15, so you’re really only down about $10. Now you have a 101 that needs cleaned up and made into a user—those can be very handy tools. I use mine for breaking edges and doing small chamfers. 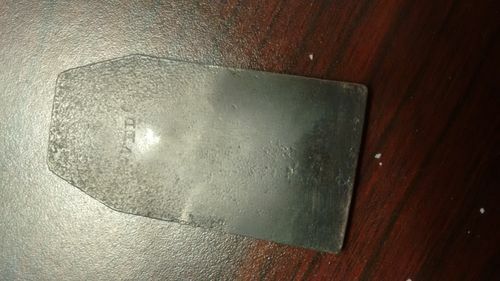 I’m also not sure what casting flaw you are talking about, but don’t see anything that prevents you from putting it to use after a good cleaning, tuning and sharpening. NO. You did not overpay. Anyone that says YES, then buy there tools. They never sell them at low prices ! 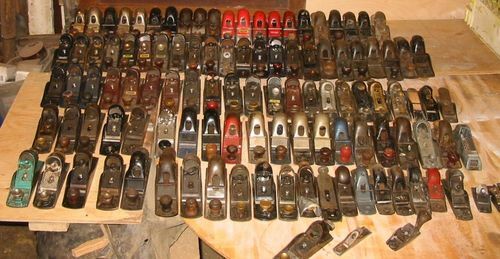 I collect all kinds of planes, I typically will pay $25 for any block plane. Jayt hit it dead on, there has been more than one time after i had the plane i asked myself why did i buy this for that price. if you use it for many years to come it was worth it. If an American buys a Canadian’s plane priced at $30, he will pay only $22.53 US for it. If a Canadian bought that #101, he would pay $35.96 CAN for it in Ohio. Yep, JayT said it. We all pay for an education. Education is only free in california. Wait….... that’s not right either! !